Clifton Insurance Agency, Inc is the leading provider of Dental Malpractice Insurance nationwide. Please complete our quote request form below to receive your free and confidential quote. Claims Made & Occurrence based coverage with the desired limits of your choice. They also require your consent before they can settle your case. 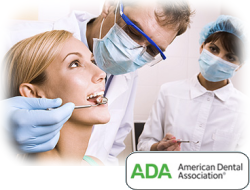 Dedicated dental malpractice claims professionals, averaging 20+ years of experience. Free Tail Insurance with permanent retirement. Committed to protecting dentists and oral surgeons well into the next century. Endorsed by 16 separate State and National dental associations. ” When it comes to your dentist malpractice insurance & oral surgeon malpractice insurance we are here to help. We are a nationally recognized insurance agency providing only the most cost effective; A++ rated dental malpractice insurance in the country. Our online system that you are utilizing now is only the gateway to acquiring the best dental malpractice insurance in the United States. This online method allows you to locate us immediately but once we have received your submission for dental malpractice insurance we will work directly with you over the phone if you would prefer. We understand that your time is valuable so our dedicated professionals will process your quote requests efficiently and will also reach out to all carriers to present you with the best options as soon as possible. As risk management professionals our main area of concern is keeping you out of the court room. Of course you never want to over pay for your dentist malpractice insurance but you also need to know what you are purchasing.